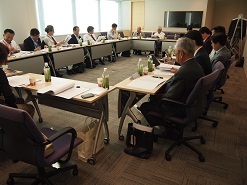 The 2011 Third Meeting of of Tokyo Section Executive Committee was held on Thursday, September 29, from 3:00 p.m. at Shiodome City Center, Tokyo. 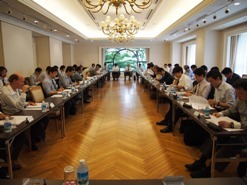 The 2011 First Meeting of Japan Council Chapter Operations Committee was held on Friday, June 3, 2011, from 2:00 p.m. at Jyosui Kaikan. 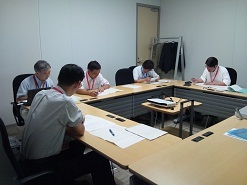 An ad hoc committee “Long Range Strategy Committee” which discusses the medium- to long-term agendas was held on Thursday, May 19, Monday, June 27 and Monday, August 29 in the head quarter of FUJITSU LIMITED. JC Executive Committee consults that this committee organizes the current situation of JC which has founded since more than 10 years and discuss the operational direction for the future. In the past 3 meetings, this committee has organized the way of Japan Council which operates mainly in each domestic Sections and complements and supports their operations. Next time, this committee will organize the result of discussion in November and will submit a report to JC Executive Committee in December. The members of this committee are following: Prof. Koshiba (Sapporo Section) as Chair, Prof. Nakamura (Kansai Section), Dr. Chiba, Mr. Hanawa and Dr. Arimoto (Tokyo Section) as committee member. 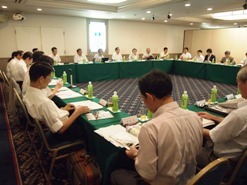 The 2011 Second Meeting of Japan Council Executive Committee was held on Friday, July 29, 201, from 2:00 p.m. at Hotel JAL City Matsuyama in Ehime. 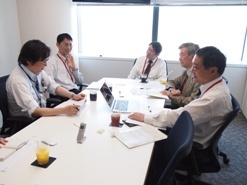 Next, from 3 p.m., a round-table conference was also held and Prof. Tuzuki, Chair of Shikoku Section, introduced his Section to the attendees. After the meetings, a social gathering was held from 5 p.m. in the same place. 2011 IEEE Region 10 Annual Meeting was held in Yogyakarta, Indonesia from Saturday, March 5th to Sunday, the 6th, 2011. Delegates including guests and representative from IEEE head quarter, Region 10, Councils and Sections, and total number of official attendee was 115, including 18 from Japan. Dr. Gambe on behalf of Vice Chair of Tokyo Section and Dr. Arimoto on behalf of Secretary of Japan Council attended this meeting. 2011 IEEE Section Congress was held from Friday, August 19th, 2011 to the Monday, 22nd in Sanfrancisco, United States of America. Also, Region 10 Meeting has also been held during during this period. 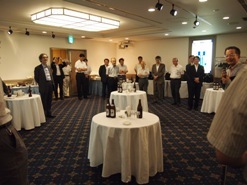 Two members in Japan received 2012 IEEE Technical Field Awards on July 22nd, 2011. Tokyo Section encourages membership upgrade to Senior Membership. Visit IEEE website for Senior Member Application. For details, please refer to Checklist and Deadlines for Senior Member Application. Please make sure to notify IEEE HQ of any changes in your address etc. Update Profile or E-mail Alias is available by registering your Web Account.